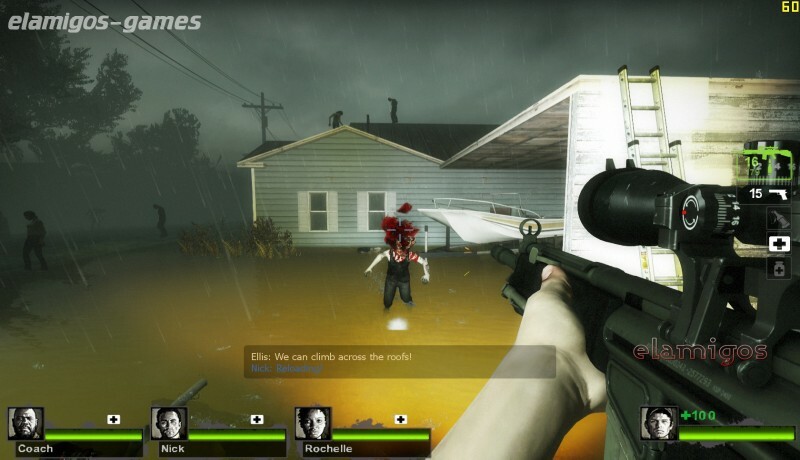 Download Left 4 Dead 2 is now easier with this page, where you have the official version of servers Elamigos like Uploaded, Share-Online, Googledrive and torrent, download it now and get the updated to version 2.1.3.9. 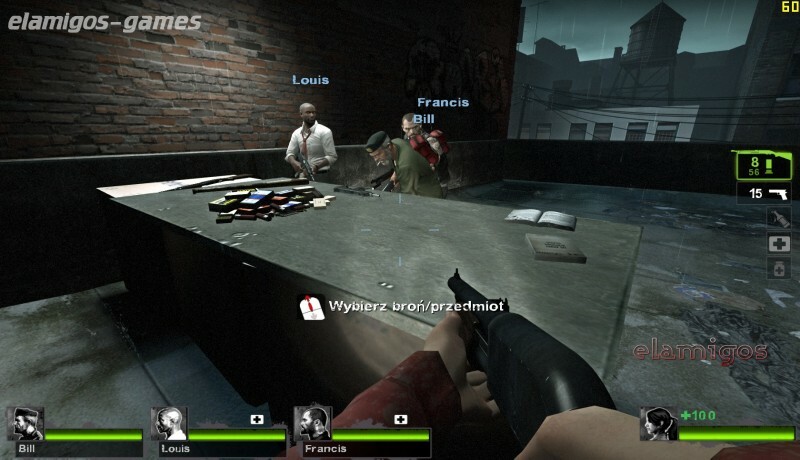 Set in the zombie apocalypse, Left 4 Dead 2 (L4D2) is the long-awaited sequel to the award-winning Left 4 Dead, the co-op game number 1 of 2008. ElAmigos release, game is already cracked after installation. 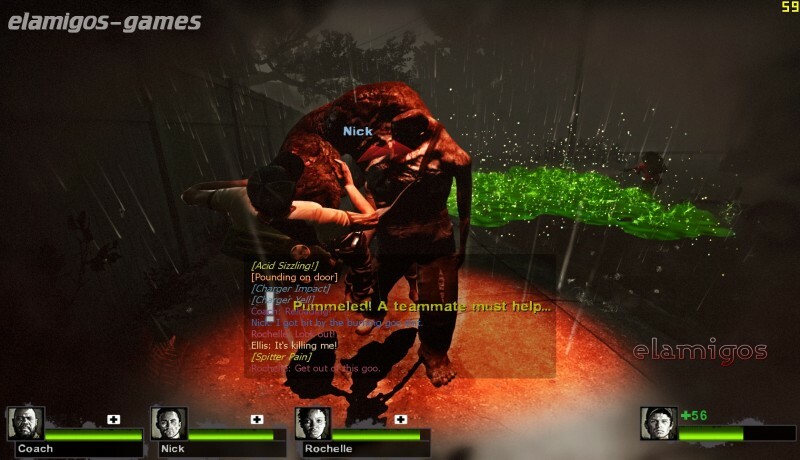 Updated to version 2.1.3.9 (06.02.2015); all released DLC till that time are included. 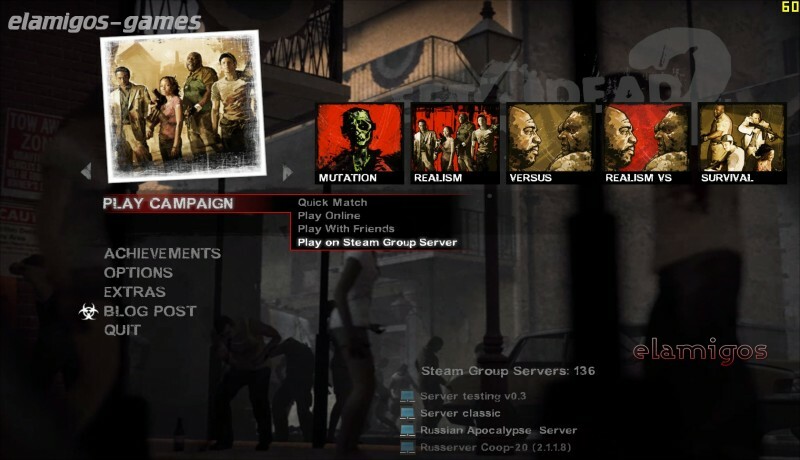 Multiplayer works with option "Play on Steam Group Server" (look at first screenshot; optional update of the game with file "L4d2_Updater.exe").